Marketing is more than SEO and branding. It also involves getting to know each client and finding the best way to share their message with the world. We at OMA Comp are proud to be able to provide this service as well as our IT services to so many wonderful people and help ensure the technological portion of their businesses run optimally. 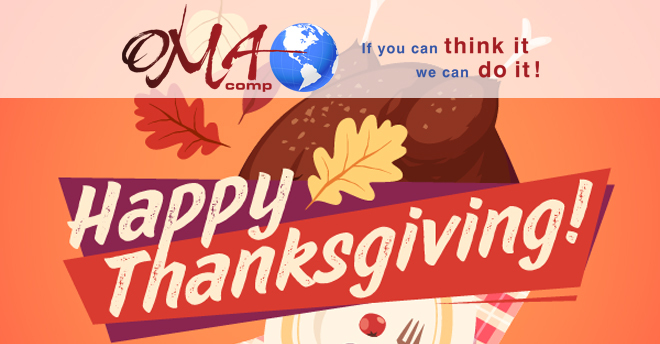 We are thankful for the opportunity to help each one of you who comes to us. As families gather for the annual feast, we would like to share a wish for happiness, health, and plenty. May our staff, clients, and neighbors have a happy Thanksgiving spent with people you love.